Community Benefit Connect conducted a national job analysis to determine the content domains, knowledge and tasks statements that define the community benefit role. A job analysis is an empirically-based study, which draws on the guidance of subject matter experts to identify the skills necessary for competent performance in a job role or occupation. The results of the job analysis can be found here. 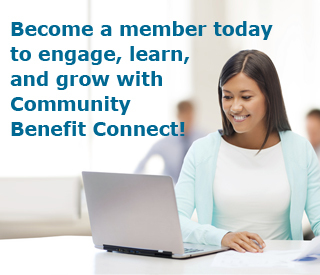 Based on the job analysis, Community Benefit Connect has developed a Model Job Description for Community Benefit Professionals. This job description can be used for hiring, training and evaluation of community benefit staff. It is also a useful tool to inform hospital leadership and Boards, Community Benefit Committees and health care consumers about the role of the community benefit professional.